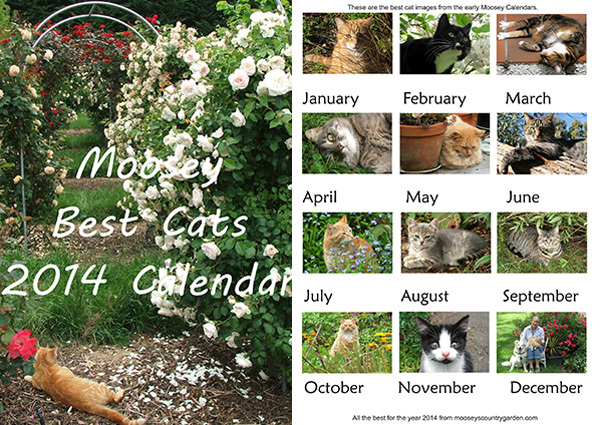 The 2014 Best of the Cats Calendar has one image and one month's dates per page. These are great for printing off one at a time and pinning up on the kitchen noticeboard. Naturally, many of the cats have been photographed in the garden. You can peep at each of the months below. Each year Rusty the Moosey dog would feature in a one-dog calendar, a Christmas present from me to Non-Gardening Partner. This would hang in Non Gardening Partner's office, admired by many a visiting electrical engineer. Dogs do change their facial expressions, though the differences can be quite subtle, and often the dog-owner is the only person who can tell. Dogs can smile. They can look extremely thoughtful, and occasionally extremely bored. 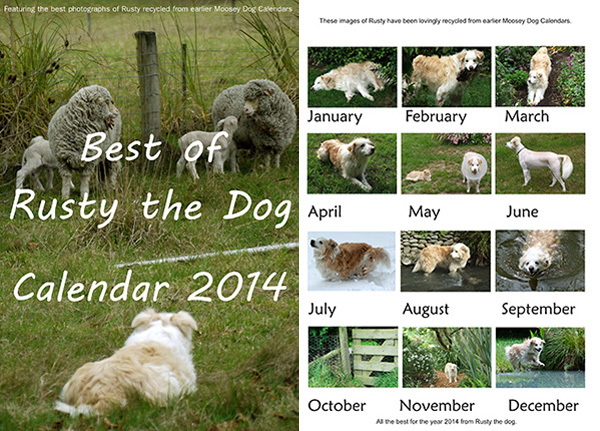 Not that a gardening dog should ever be bored... Hope you enjoy Rusty's one-dog calendar.